Awaara, Sangam,Bobby, Kal Aaj Aur Kal. "Rahe na rahe hum mehaka karenge..."
She comes from the legendary home of stars. First it was her sister who broke the tradition soon to be followed by her. Welcome Kareena Kapoor, the grand daughter of thespian and legendary actor Raj Kapoor. Father Randhir Kapoor and mother Babitha were reigning stars of their time. The Kapoors have had their share of tradition of not allowing the women of their household work in movies. This was broken first by Karisma Kapoor the older sister of Kareena. Soon Kareena followed suit. Did you know that 'Bebo' as she is fondly called, actually wanted to study law in Harvard and had no plans to do anything in Bollywood but soon the movie bug got to her and she made head way into Bollywood. She has come a long way since her debut film Refugee opposite Abhishek Bachchan. Though the film didn't do as expected, Kareena earned rave reviews. 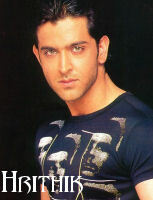 She was initially chosen for Kaho Naa Pyar Hai opposite Hrithik Roshan, but due to a few differences, it never took off. After Refugee, soon offers flowed; she did a couple of movies, Yaadein , Kabhi Khushi Kabhi Gham, Asoka, Mujhe Kuch Khena Hai, Chameli and the latest being Fida. She got Stardust special award for her performance in Chameli. She was also seen in Dev co-starring Amitabh Bachchan and Om Puri. 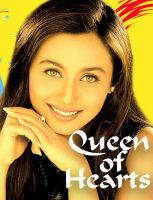 Yuva and Hulchul gave an uplift to her career as it saw considerable success at the box office. Don and Milenge Milengel are in the pipeline and looks bright. It might just give her that much needed push. Copyright © 2007 Princess Kareena Kapoor. Site designed and maintained by Zia Khan. All rights reserved.